Article marketing is a lot like writing a press release. You write an article about the field in which you specialize, make it available for publishing by other Web sites and publications and, hopefully, garner attention and business when others publish it. How will people know where the article came from? Just like in a press release, there’s a “resource box” (essentially a biography with a link back to your site) which should be attached to each article no matter where it’s published. If readers find your article useful, they can click back to your site and learn more about you and your business. Article marketing can be a highly useful marketing tool if effectively used. Most important is making sure your article is both readable and worth reading. If you claim to add something to the discussion of a particular topic, you must have a distinct voice and communicate your expertise. Poorly written articles negate whatever expertise you may be sharing. Fortunately, you can always hire a freelancer (or ghostwriter) to write articles for you, but you will incur some expense doing so. Well-written and timely articles on your site or business’ field can be like a drop in a pond – quickly spreading outward and drawing more readers and/or consumers to you. It also quickly creates back links (through your resource box) which plays a key part in effective search engine optimization (SEO). Finally, the more articles you put out there, the more your name, site and business become associated with your field. The growth in back links, recognition and readers/consumers can seem exponential. The above sounds easy enough, right? It is, if you write well, have the time to spend submitting articles to distributors and don’t fall into a few traps. If you have trouble putting your thoughts into words or crafting an easy to read sentence, article marketing is going to be difficult for you. An easy solution to this is to hire a freelancer, but, as noted above, you’ll incur some expense by doing so. Even if you don’t need a freelancer, a distinct voice is a necessity to stand out from all the others in your field. This may take time to develop, but your articles will still, hopefully, be garnering readers/consumers as you sharpen it. Submitting articles to distributors can be a time-consuming process. You need to plan to submit (new) articles on a regular basis, and, thus, build time into your schedule to write them (or get them back from a freelancer and review them) as well as submit them. There is software that will do this for you, but you’ll need to do research to ensure the programs operate as effectively as a human would. Finally, some publishers may leave out your resource box – essentially stealing your content. It’s hard to know when this has been done and you don’t want it to happen often. The entire point is to get paid for your work and expertise, not to let the other guy get the credit. Further, since we don’t know leading search engines’ algorithms or how often they change them, you have to be aware that if three or four publications post your article, the SEO value of those multiple postings may drop because it is viewed as only one posting. While there are competing arguments for and against article marketing, many have had great success using this strategy to market their websites and blogs. Why not give it a try? You have very little to lose in the process! Deborah Dera is a professional writer and blogger focused on personal finance, credit repair, loans, education, writing, blogging, SEO, and more. Visit CreditLoan.com to learn more about her work with personal finance and loans. Article is better than press release is because press release only show your article out for some duration and the backlink you build are not permanent. But article is totally different, mostly one article would allow to put three backlink and it able to be found back even after sometime. I admit that article is the best in SEO which get the fastest backlink .What you need is to put sometime to write a great article to share with other. They are some portal that direct approve your article and some need take in moderation. But no matter what it won’t taken long time to approve if your article is useful. Posting to EzineArticle and like directories will defenitly give your good results but keep in mind that content is to be unique and upto mark. because content is King. aticle marketing does draw traffic to your blog, but like anything else, that is just one of many ways to draw traffic and get backlinks. yes, I think we should ignore article marketing. It is useless. I have not use it for month. Article marketing is obviously good for companies and services for targeted promotion. But extensively posting such articles can ruin blogs reputation. Article marketing is a very successful industry and had many advantages to it. The most obvious advantages is highly effective and it’s free, unless you pay someone to write them for you, which is a great idea for anyone involved with article marketing. And one of the disadvantage of article marketing is the content of your writings. 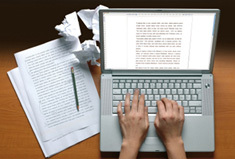 If your writings have a sense that can catch the eye of the readers. Great article and ideas that are useful for marketing strategy. I totally agree with you on hiring a freelancer especially if someone is too busy to spend of his time in doing article marketing. In doing business, one has to invest for it to become successful. the recent changes to the google bot regarding duplicate content could change how one markets articles. You do not mention the use of “spinning” an article to create new ones. Of course spinning is a nasty thing and makes articles read horribly but for those who post to automatic programs its their no 1 backlink building strategy. Plus most of the backlins are worthless that are created. What directories do you recommend posting to? Theres the obvious like Ezine..I wonder what everyone else user? Article marketing isn’t hard, but this is a great article. @Debora, what do you think of article marketing with the recent Google vs. Content Farms? Great article – you have here. Article marketing can work but like you said, it can be time consuming and risky when other steal your content. However, when you develop a proven system, learn how to write quickly and efficiently while still maintaining quality standards and use it in conjunction with an overall marketing strategy, article markeitng can be very effective indeed. I have been meaning to learn about writing articles to improve my IM progress. There is a lot of information on how to write them available, but I think the problem is that we become very unfocused with so much information about different ways of internet marketing. That has been my problem anyway. A training package I have just purchased told me to write 10 articles to Ezine Articles to reach platinum level because your articles rank higher and that is good for the sites you are promoting. Ezine articles have a very helpful section on how to construct good articles and it pays to also read their criteria for what they well accept before you begin. Article marketing is what made internet marketing expert Jeff Herring successful. He and his wife have built a popular online presence on EzineArticles by posting over 1000 articles there. They have developed a faster method of creating content by “speaking” your articles and having them transcribed. Do a Google search on “Jeff Herring speak your articles” and you will find out more about their tips and tricks. This is a good article on article marketing. I have done some article marketing and found that there is just a little more to it than just trying to through some content together. Articles need to be helpful to your audiance with a good title and resource box. Your article needs to draw the readers attention for it to work properly. Debora, you really did do a nice job with this article.